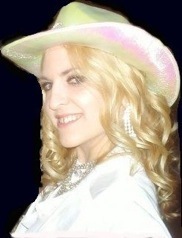 UK’s premiere Madonna Impersonator is available for party and corporate entertainment. Madonna Impersonator Evelyne comes as a self contained act who works with a professional sound engineer. A live band is available on request. This Madonna Impersonator has enjoyed extensive media coverage in TV, press and radio and continues to entertain audiences around the globe. The show is suitable for Corporate Entertainment, Madonna nights, 80s Parties, Birthday Parties, Weddings, Madonna Fan celebrations, Clubs, Award Ceremonies etc. To cater for a variety of budgets we offer the Madonna Madonna Impersonator as a solo act with professional backing as well as working with local dancers in the different countries. Costume changes are a vital part of the act, so ‘Madonna’ grows younger as time goes on. Just like in real life... You will be taken back from 2009 all the way to the 80s. Gold cones, fishnets- you got it. Madonna Impersonator Packages with DJ/80s party available. If you require a good sound system, please let us know.